Bolands of Gorey specialise in the supply and installation of quality carpet products for both domestic and commercial applications. We are one of the largest stockists of carpets in the southeast, with over 100 rolls on display in our new 40,000 sq ft showroom. Whether you’re looking to create warmth in a room or updating to a new look, you’re sure to find the right carpet that will transform your home. We deal with all the major flooring wholesalers and therefore have a huge range of different colours, patterns and textures to suit each customer's individual taste and style. 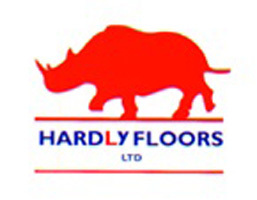 We pride ourselves in offering high quality flooring at affordable prices. Because we buy in bulk and keep a large amount of carpet in stock we can pass these savings onto our customers, with prices starting from as little as €6 per sq yd. We also stock a large selection of top quality carpet remnants. Carpet remnants are often left over from our regular roll stock. Remnants are constantly changing but are always at clearance prices so why not call in store and check out what we have on offer. Our sales staff have years of experience in the carpet industry, most of whom are former carpet fitters themselves so they can really help when it comes to which carpet will best suit your needs and budget. From helping you choose which carpet is right for you through to our highly experienced team of fitters laying your new carpet, Bolands of Gorey always aim to provide the best quality and service possible. Call in store today to see our extensive range of flooring or to speak to a member of our sales team who are always happy to help!